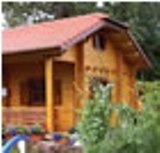 A range of possible combinations of log cabins for use as a substantial office or perhaps residential or holiday accommodation. 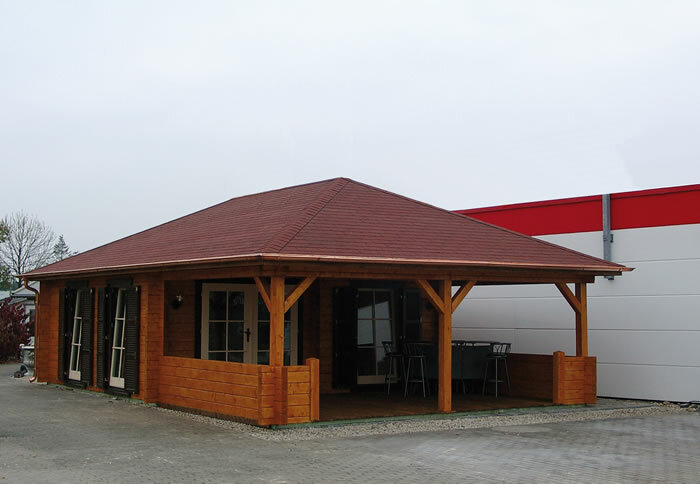 These buildings are just an example of what is possible, all order placed are made to measure for you and tailor made to your designs or requirements. 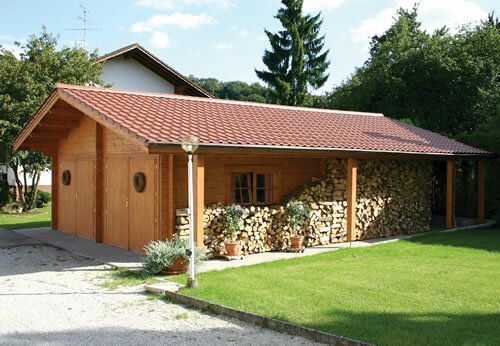 Log thicknesses are possible up to 115mm (4'5") so it is rarely necessary to need wall insulation due to the high thermal properties of the extremely dense dried Nordic pine from which the logs are cut. 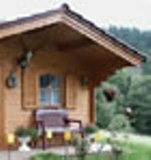 Double glazed as standard these log cabin will provide a cost place to live or work. 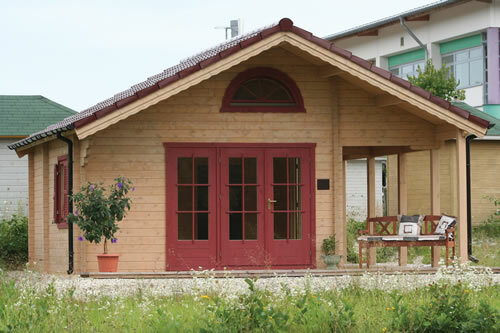 A 58mm log cabin suitable perhaps for holiday homes, 4.5x8.5m (14'7x27'9) with internal rooms and loft area. 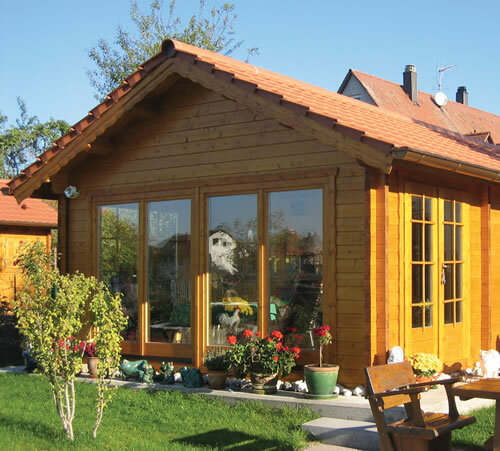 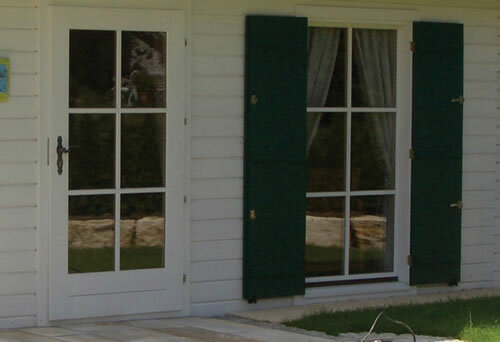 The Bristol 58mm Double glazed log cabin with a porch area. 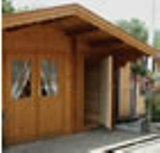 4x5m (13'x16') complete with a rear shed area. 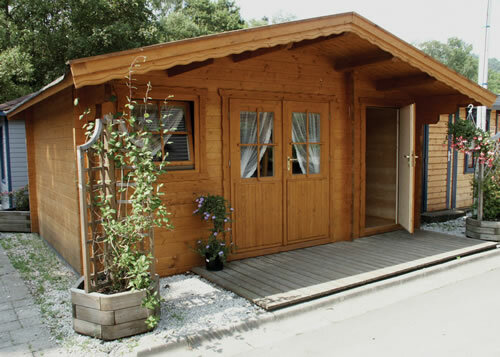 The Cardiff 5x3m (16'x9'8) 58mm Log Cabin including a side room and double glazing. 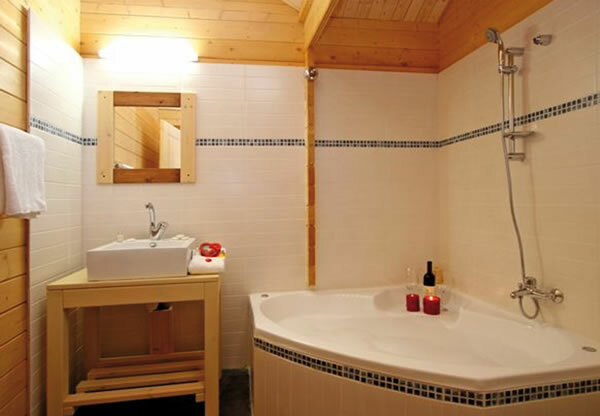 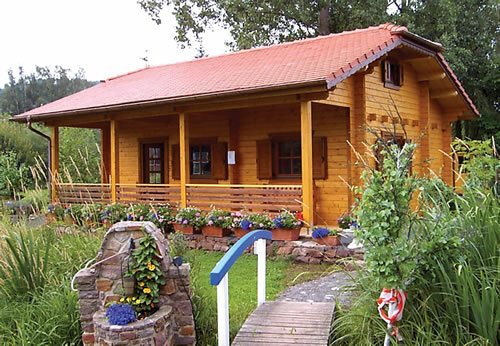 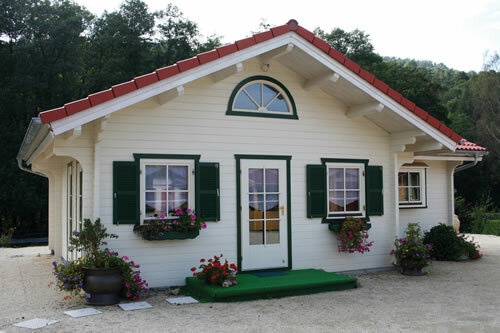 This leisure building log cabin is an ideal residential cabin. 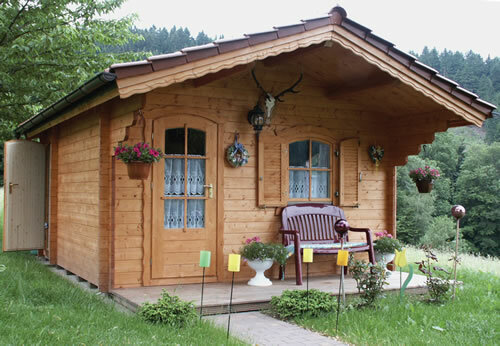 11'5"x27'9"
A Bertsch Log Cabin with Mezzanine sleeping area 26'2 by 12'6, in 45mm wall logs.